In A Tale of Two Cities, French aristocrat Darnay and English lawyer Carton compete in their love for Darnay’s wife Lucie against the menacing backdrop of the French Revolution and the shadow of the guillotine. David Copperfield draws on Dickens's life to provide a vivid story mixed with comedy and sorrow. Born into poverty, young David Copperfield overcomes a cruel stepfather and frequent tragedies to enjoy success as an author. 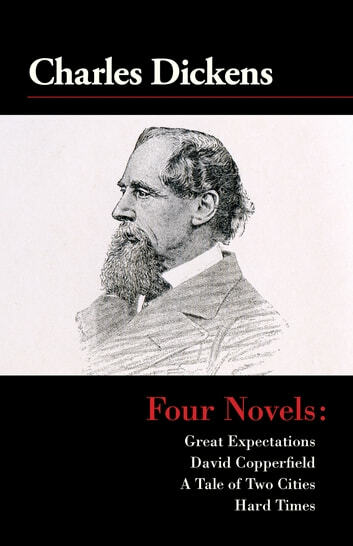 In Great Expectations, Dickens, creates a dark tale of suspense and satire around young orphan Pip, who longs for the life of a gentleman, and through a series of coincidences, a secret benefactor makes it possible for him to travel to London and chase his dreams. Dickens was a critic of the social stratification and poverty that was prevalent in Victorian society. Hard Times criticizes utilitarianism as it tells the story of a man and his children as they struggle with class conflict, and the horrible working conditions in Victorian factories.